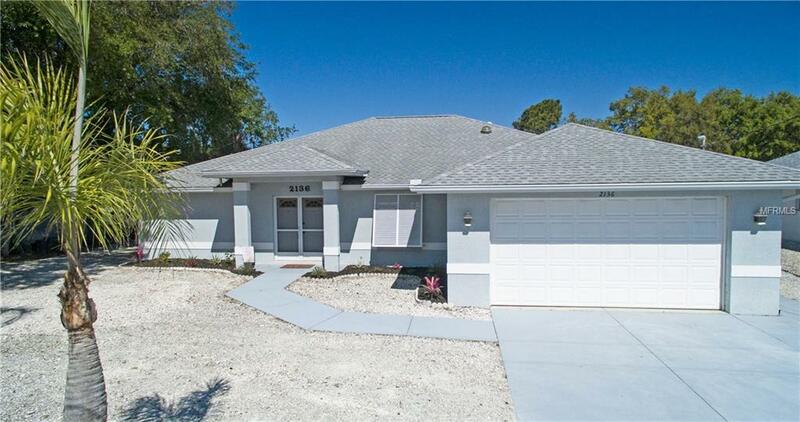 WATERFRONT W/GULF ACCESS......2 bridges to Lemon Bay and less than 20 minutes to Gulf! Just imagine jumping in your boat for a day of fishing, waterfront dining or a relaxing sunset cruise. Your own private boat dock, with lift, make this possible! With purchase of this home you will have access to the community boat ramp located on Oyster Creek for $50/year. Only a couple of blocks away and it is an optional amenity for those of you with larger boats. The open floor plan and triple pocket sliders that open from the living room into a HUGE covered lanai, allows for great entertaining! Enjoy outdoor living on your 32 x 24, two-tier sundeck that leads to the water. Located VERY close to the beaches, restaurants, entertainment and shopping. Roof 2013 and new water heater in 2017. Call for your appointment now before this PRICED TO SELL waterfront GEM is taken!